St. Patrick's Day Taylored Expressions Gift Set! I started off by making this adorable little treat bag using the Sack it to You Die and the Sack It - Leprechaun Dies. I used some Peapod ,Oreo, Chocolate Truffle, and Metallic Neutral cs from Taylored Expressions along with a few other colors in my stash. I also used the Burlap Embossing Folder to emboss the hat and the pipe. 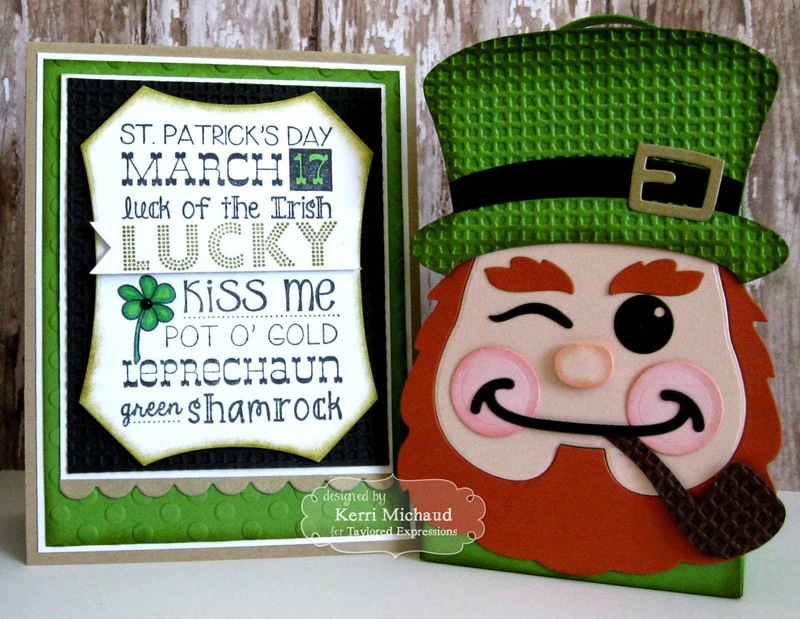 For my card I used the Graphic Greetings St. Paddy's Day stamp. 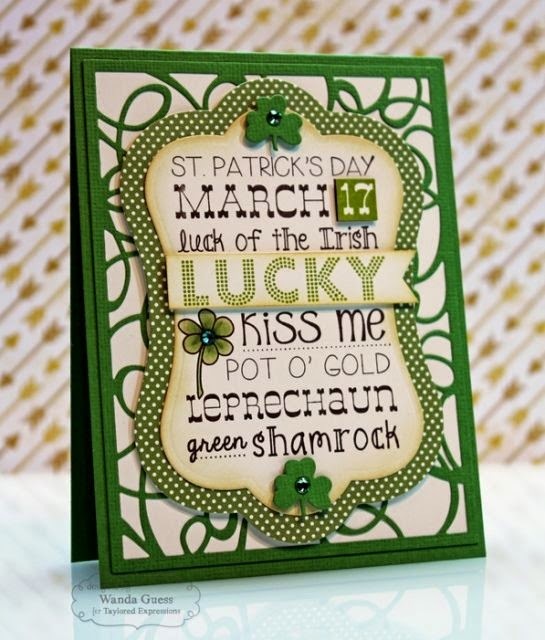 I stamped the sentiment with Memento Tuxedo Black, and then stamped it again with olive ink and cut out the "lucky". I popped it up with foam tape. I used Copics to color the clover and the "17". I cut the entire sentiment out with a TE Label Stacklets 8 Die and layered it over a black panel that I embossed with the TE Burlap Embossing Folder. 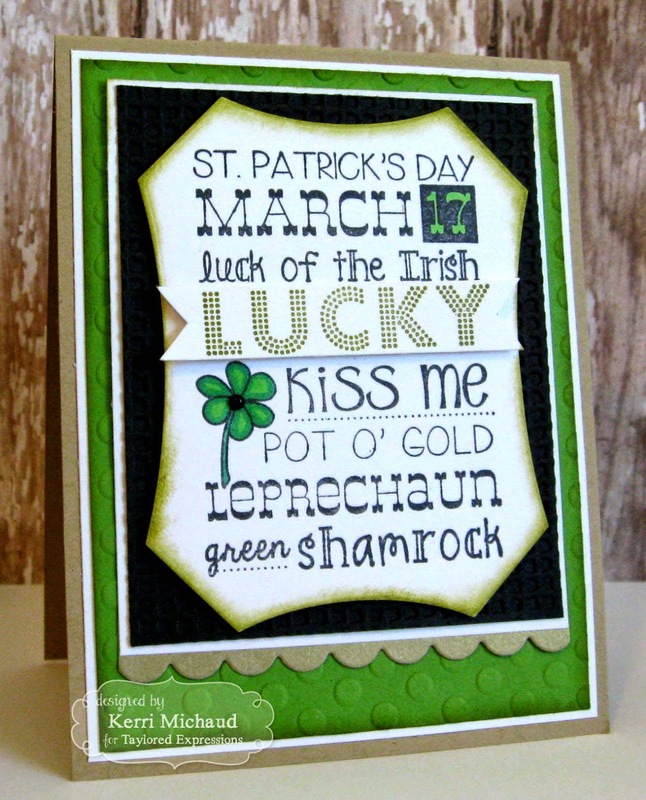 I cut the border out of TE Metallic Neutral cs using the Small Scallop Border Die and then layered everything over some Peapod cs embossed with the TE Lots of Dots EF. This was a fun set to create! 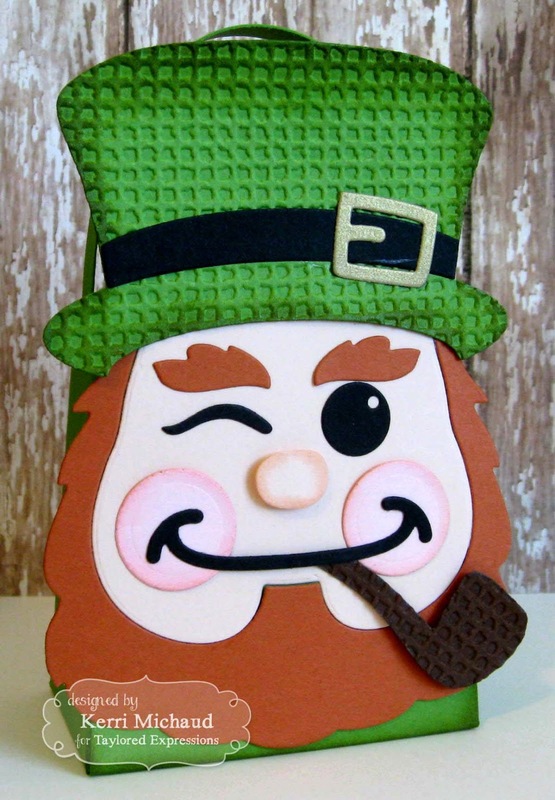 Thanks for stopping by today and have a wonderful St. Paddy's Day!